It's also well worth watching the book trailer if you haven't. LTPB: How did the story of the Bear and his piano come to life? 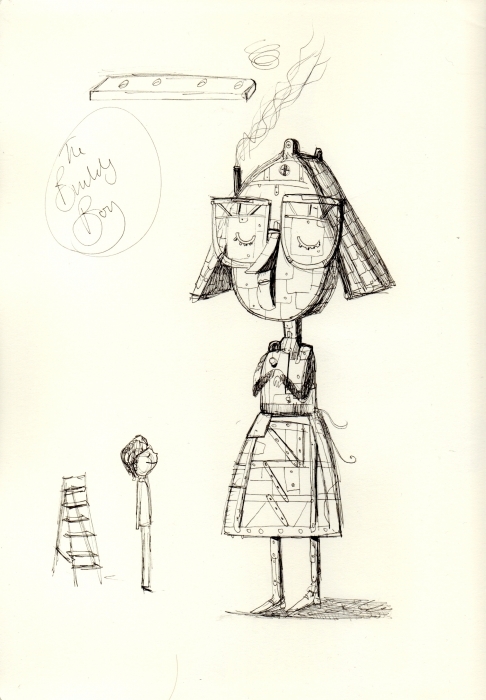 DL: One of my favourite things to do is mindlessly doodle in my sketchbook. 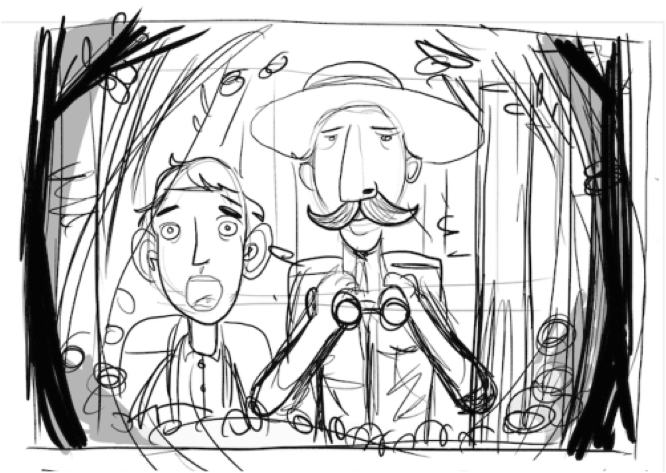 It's fun to draw for the pure joy of drawing and not have the pressure of a deadline or an art director giving you instruction. I try and do this every day if possible. 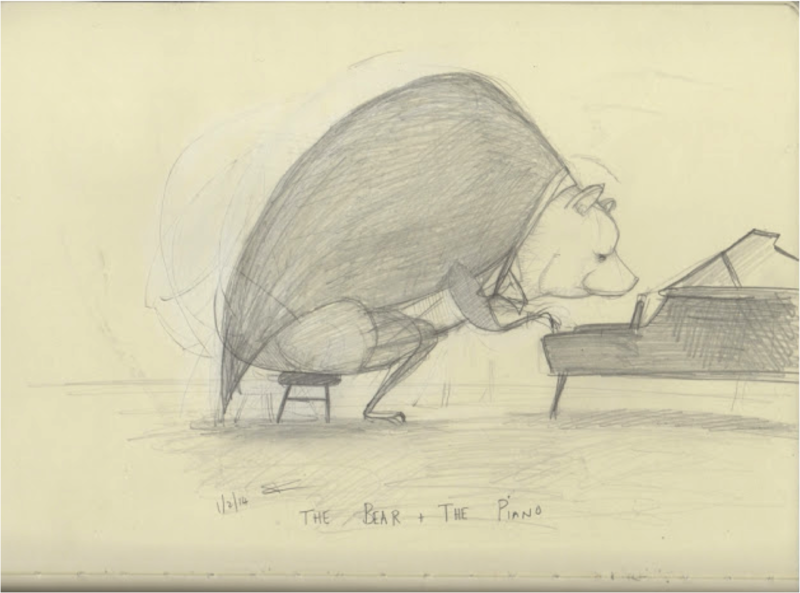 A few years ago I was doodling in my sketchbook, not really thinking about what I was drawing, and I ended up sketching a big grizzly, scary-looking bear playing a piano. 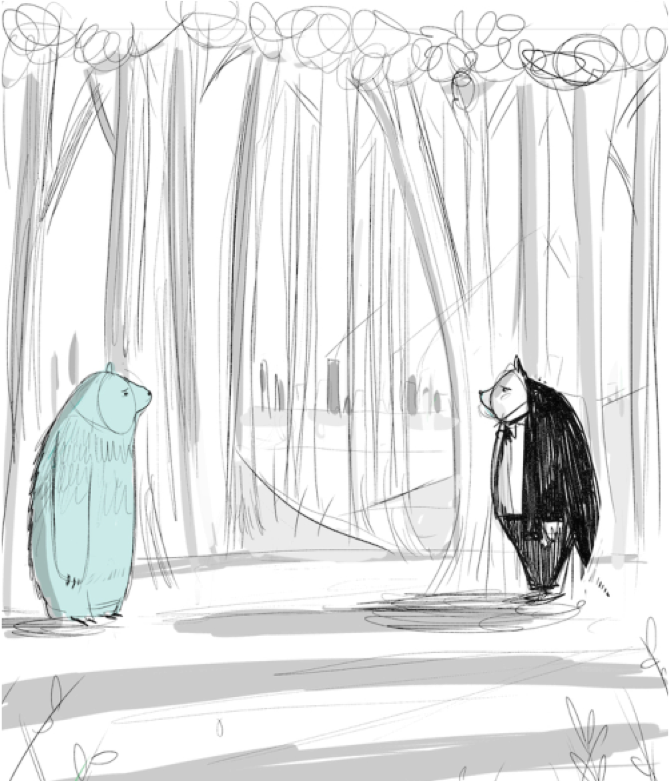 Something about the sketch was really interesting, as it was like the colliding of two worlds. 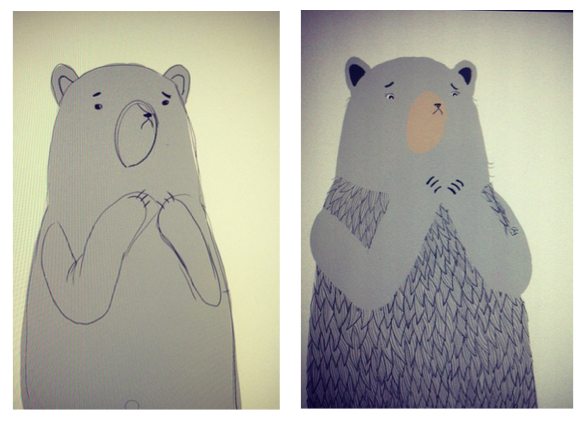 The grizzly, wild nature of the bear and the gracefulness of the piano. 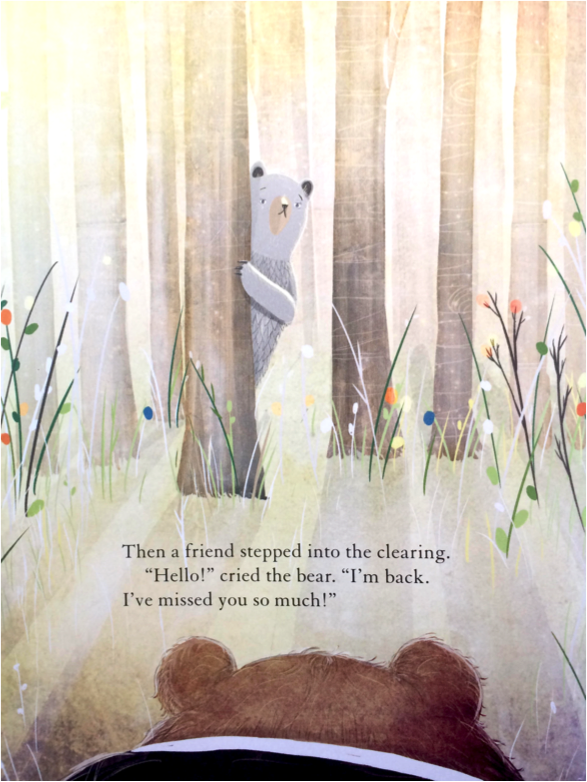 I started thinking about the story behind the illustration and how the Bear got to this point, and that’s where the story came from, really. I was also thinking about how scary it is to step out of your comfort zone and try and achieve something that seems impossible. 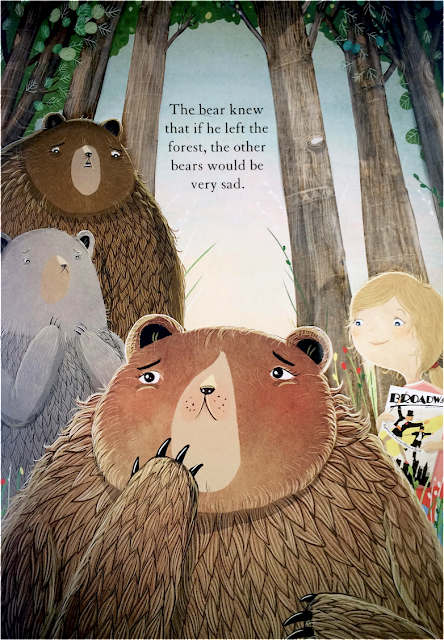 To me, a bear who dreams of being a world supreme pianist despite his friends--and Mother Nature, herself--telling him it's not possible, seemed like a good story to tell. 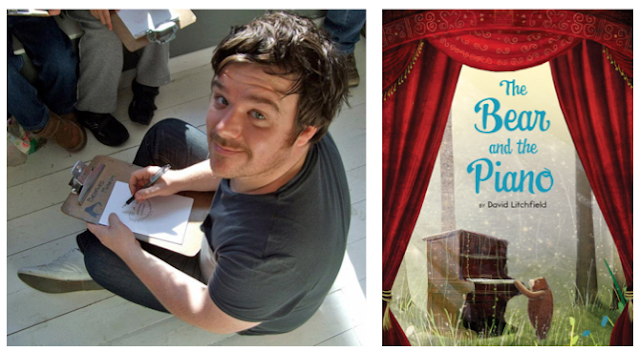 LTPB: The Bear and the Piano was your picture book debut, and you’ve since illustrated two other books, Miss Muffet (Or What Came After) (written by Marilyn Singer) and The Building Boy (written by Ross Montgomery) What differences have you found in creating your own text versus illustrating someone else’s? DL: Both ways of working have a number of happy challenges. 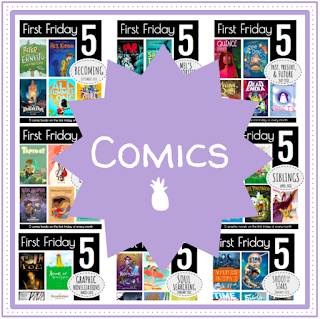 This past year has been great, and I feel very lucky to be working with some really brilliant authors now. Bringing someone else’s story to life is a big responsibility. This is the world they have created and spent a lot of time crafting, and now they are trusting you to interpret it visually. 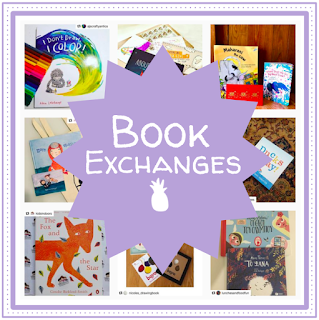 I always try to collaborate as much as possible with authors and get as much input from them as I can. Sometimes this is tricky, as they might live in New York or Alaska. But I do really enjoy the collaborating process and finding a great match between words and pictures. Creating my own books with my own stories is actually a little bit harder. 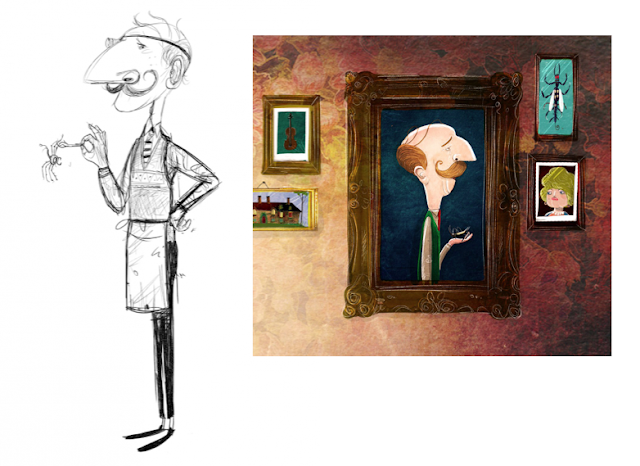 I consider myself an illustrator first, and it feels strange to be called an author now. 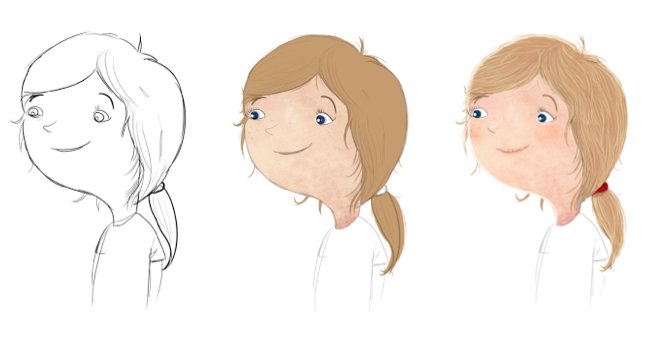 Structuring a story and finding pace are things that I don’t find easy, and I really have to push myself to do it right. 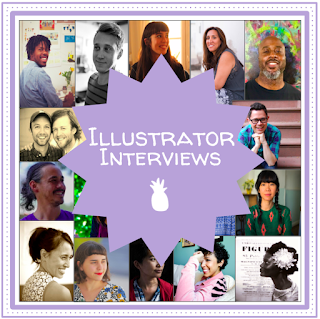 Also, I have been lucky to work with a brilliant editor, Katie Cotton, on my author/illustrator books, and she has taught me a great deal about writing in a very short period of time. 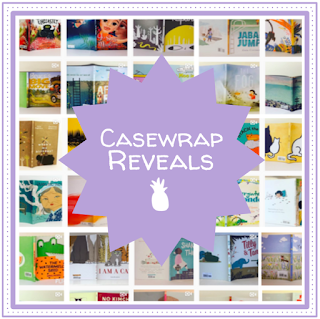 LTPB: Between your three published books, there’s a pretty wide variety of tone, and yet you maintain a consistent style. What medium do you use and why? What’s your process like for tackling a new project? DL: All projects tend to be slightly different, but generally I read the manuscript and very quickly sketch out the roughest, sketchiest initial ideas. Some of these are so scruffy that only I can really tell what they are. I will discuss the story with the editor/art director (and hopefully the author) to find out what expectations and ideas they have for the project. Then I go away and draw out rough first draft sketches of the whole book. This can take a week or so, as it’s a good time to explore as many different compositions and layout ideas as possible. The ‘rough’ is then checked by the editor and author, and they might have some suggestions and tweaks, but I can then usually start going into the artwork stage. This starts off really fun, as I basically make a huge mess creating textures that I think will work for the project, such as water colour washes, mixing acrylics, photographs of specific surfaces that I can use, etc. Using these textures as the base of the drawings I start putting the spreads together. The whole process takes around 3 months. It’s so much fun though. I still can’t quite believe this is my job now. 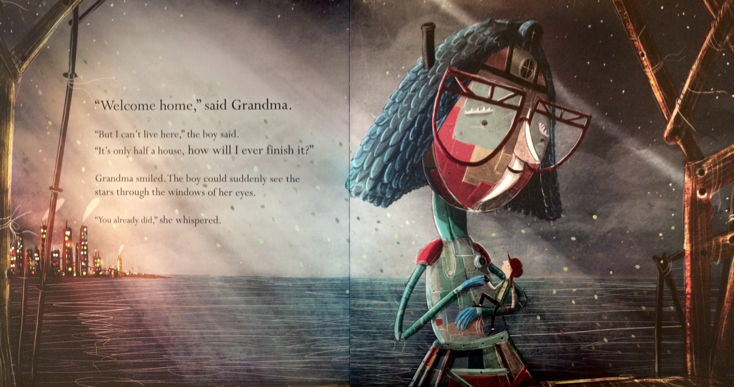 LTPB: What can you tell us about your next picture book, Grandad’s Secret Giant? 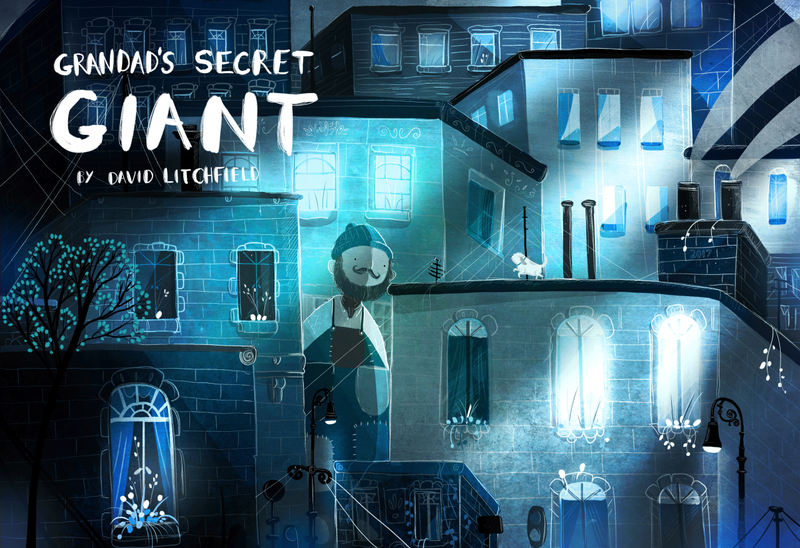 DL: Grandad’s Secret Giant is a story I have had in my head and sketchbook for quite a while. 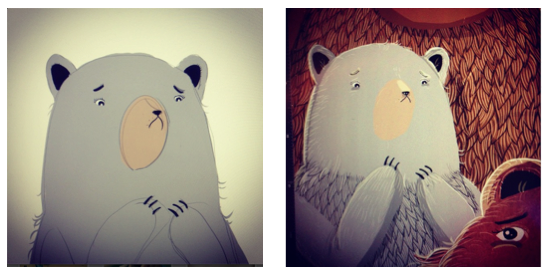 In fact, I pitched it to Frances Lincoln Children’s Book’s the same time as The Bear & The Piano. I had the visuals and sketches ready for Grandad’s Secret Giant, and before the pitch I fully believed that if they were going to pick one idea they would pick this one over The Bear & The Piano. 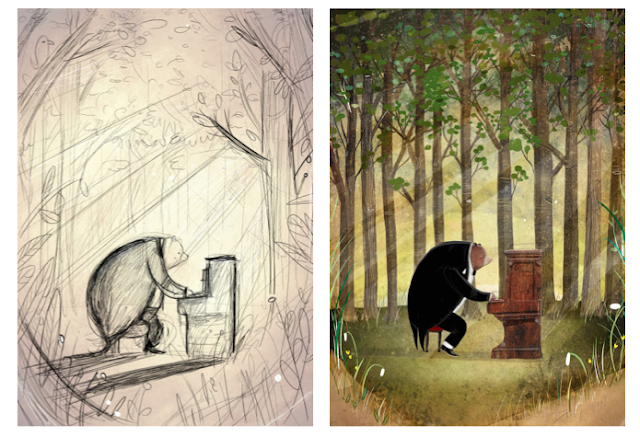 At the time The Bear the Piano was nowhere near as developed as the Giant story. 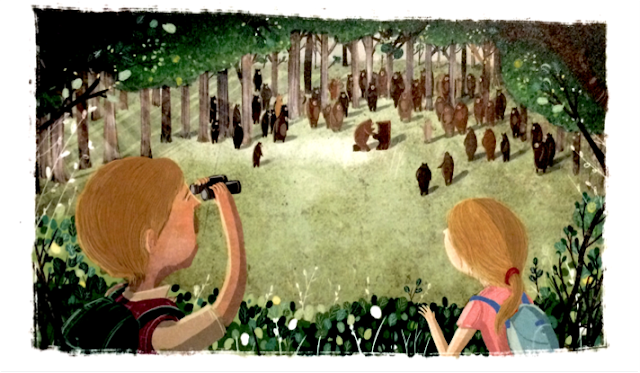 However, I’m obviously incredibly glad now that they went for The Bear & The Piano first, and I’m super grateful that now, Grandad’s Secret Giant is going to be my second author/illustrator book. DL: Ooh, there’s actually so many. 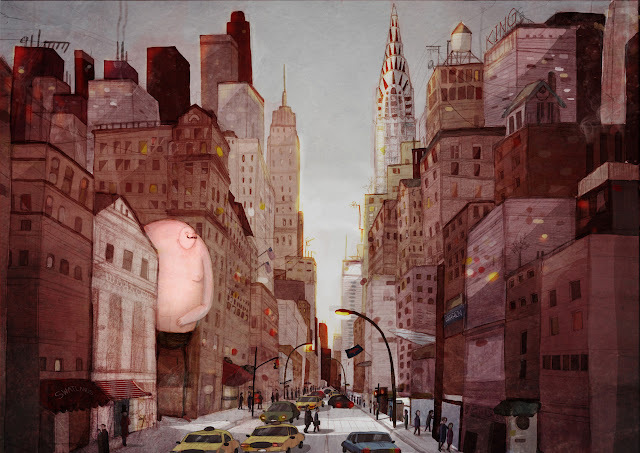 I would love to see Jon Klassen drawing some of the ‘flatland’s’ fields that we used to play in growing up in Bedfordshire or have Oliver Jeffers recreate some of the mischief me and my friends used to create. But my favourite illustrator of all time is Albert Uderzo, and I would love him to draw my autobiography like some epic Asterix style adventure. We could all have a big, boisterous banquet at the end, too, celebrating everything that has happened over the past couple of years. That would be brilliant. The Bear and the Piano published in the US with Clarion Books in the spring of 2016, and David's other illustrated picture books are available in bookstores near you. 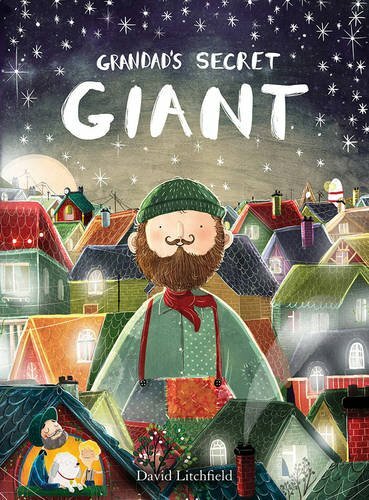 Be sure to keep an eye out for Grandad's Secret Giant, out in the UK April 2017 from Frances Lincoln! Special thanks to David for use of these images! What incredible talent, mixed with years of discipline at perfecting the craft, I can only imagine. I am a classical pianist, so came upon the piano book by accident when looking up new piano releases. Truly spellbinding and magical illustrations!! !